Ana will join CNN’s new Denver bureau in August 2013, and she’s thrilled to make the transition to CNN while still getting to work in her home state of Colorado. 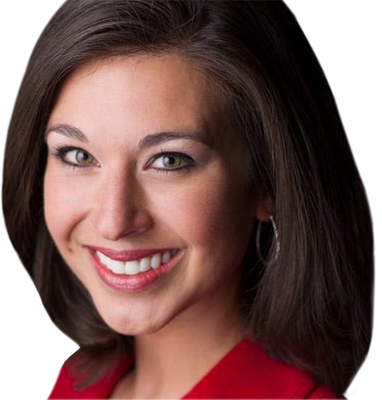 Ana grew up in Littleton and joined the news team at KMGH in July 2009. For the past three years, she’s anchored the fastest-growing weekday morning show in Denver. Prior to coming home, Ana was an anchor and reporter at KHQ-TV in Spokane, Wash. In Spokane, Ana’s work was recognized with awards from Community Oriented Policing Services (COPS) and Veterans of Foreign Wars organizations. Ana earned her B.A. in communication from Washington State University and the Edward R. Murrow College of Communication. She also has a bachelor’s degree in Spanish. Throughout her career, Ana has been involved in her community. She currently serves on the Board of Directors of Mi Casa Resource Center in Denver, which is dedicated to advancing economic success and helping Latino and low-income families trade poverty for lasting economic stability. She serves as a station ambassador of the Go, Slow, Whoa program, which teaches children in local school districts about the importance of good nutrition and exercise. Ana also enjoys emceeing several nonprofit events throughout the year. She has also served on the board of the American Cancer Society, volunteering weekly in the Rose Medical Center Cancer Resource Center. She is passionate about curing cancer, since her brother, John, a survivor, battled brain cancer at the age of 10. When she’s not working, Ana enjoys spending time with her new son, Jackson, husband, Ben, and her energetic golden retriever, Lola. Her other hobbies include hiking, skiing, playing family games, reading, cooking and running.